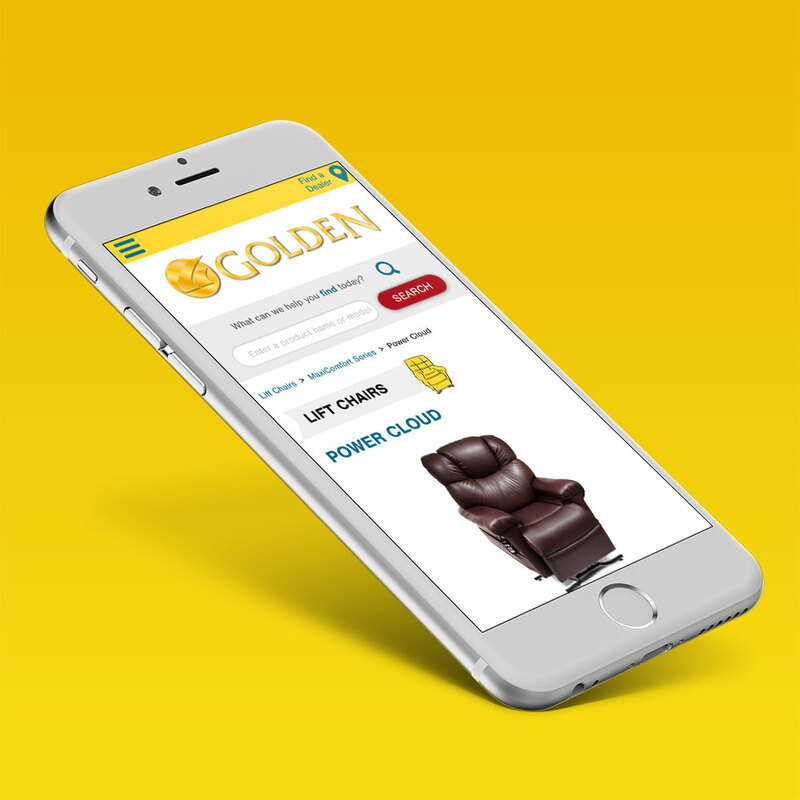 Golden Technologies is one of the country's leading producers of lift chairs and scooters, with the world's largest facility dedicated solely to the American production of lift chairs in Old Forge, PA. Our goal was to redesign their current website in a more user-friendly and organized matter. 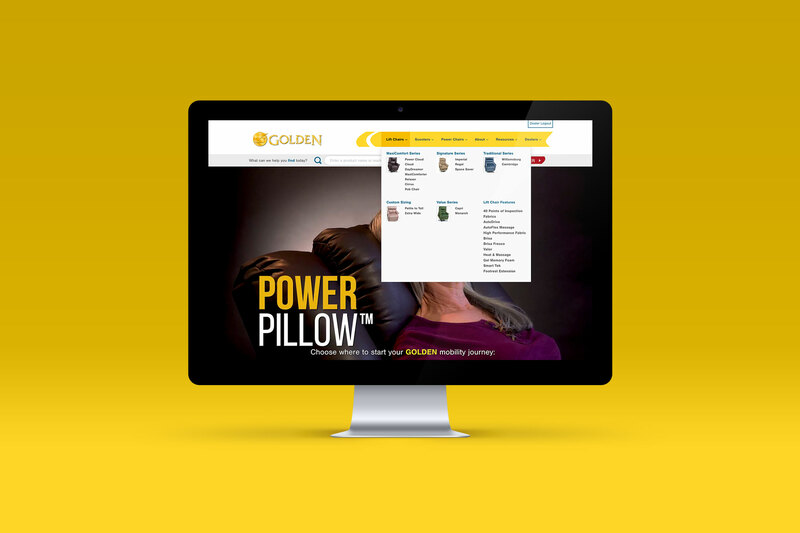 We needed to structure the site’s content in such a way that customers can easily find information on the products and locate dealers from which they can purchase these products. Additionally, this website needed to have a robust internal resource center for retail dealer users that need resources to advertise the products they carry and make sure their information on the dealer locator is up-to-date.